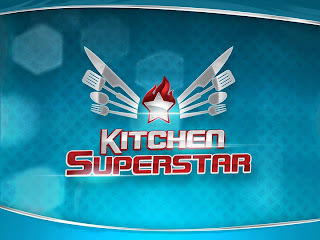 Kitchen Superstar is a realitycompetition in search of the best non-professional cooks in the Philippines. The show is hosted by actor/restaurateur Marvin Agustin. 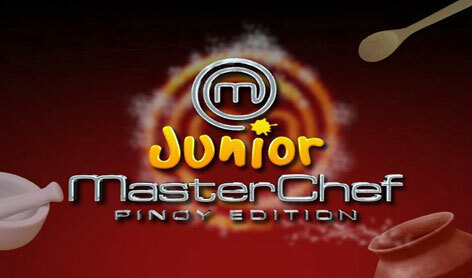 Junior MasterChef is a reality tv-show in UK which is going to have a Pinoy Version in ABS-CBN to be hosted by Mrs. Judy Ann Santos Agoncillo. Host Master Chef Pablo “Boy” Logro and his celebrity guests will have viewers savoring sumptuous dishes and learning how to create these themselves. 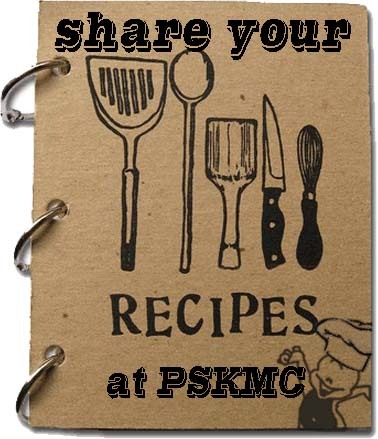 If you want your recipes to be featured here in PSKMC, you can share your recipes at the comment section of this page (Disqus), at the lower portion of this page and/or just simply share it on our facebook page. Inserting actual photos of your recipe will be very much appreciated. Get a limited Iron Man 3 poster with every Power Meal. Night shift? Charge up with a Power Meal. Get a limited edition poster of Marvel's Iron Man 3 with every purchase of Power Meal via dine-in, drive-thru or McDelivery 86-2-36 www.McDelivery.com.ph | size: 27 x 37 inches. For only P199, customers can choose between three different Power Meals, which consists of any of McDonald’s delectable premium 100% all-beef burgers – Big Mac, Big N’ Tasty or Quarter Pounder with Cheese – with Large Fries and Large Soft Drink. 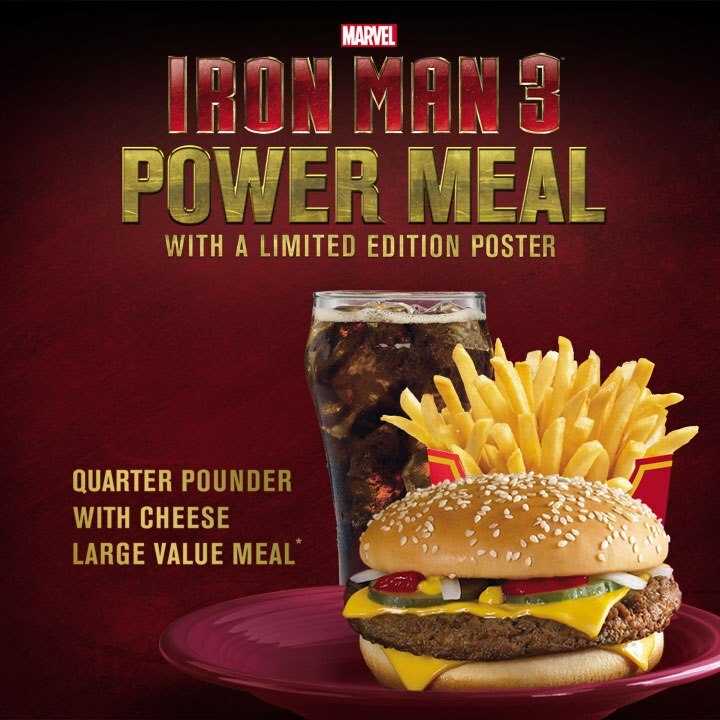 Every Power Meal also comes with a limited edition Iron Man 3 poster. Whoa.. wait. I get to choose my @mcdo_ph burger AND Iron Man 3 poster design?? 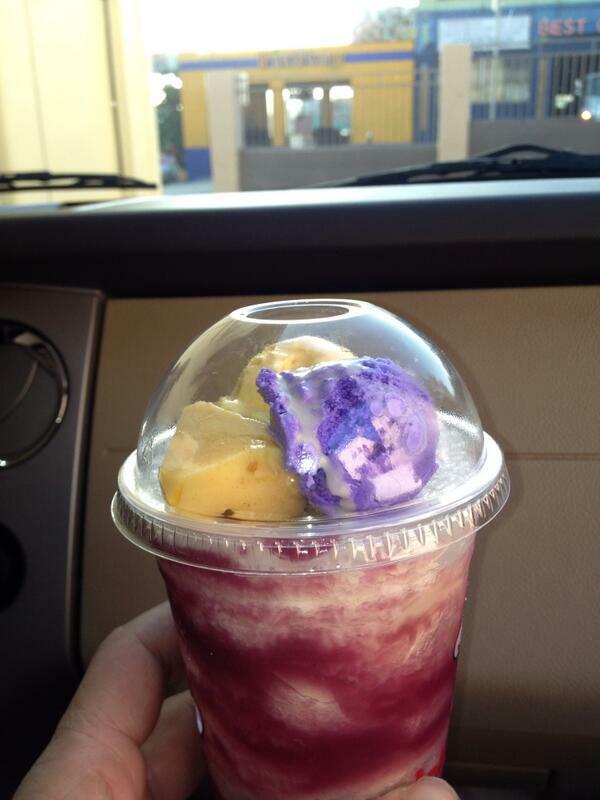 Loving the sound of this new #IronMan3McDo Power Meal! Astig! 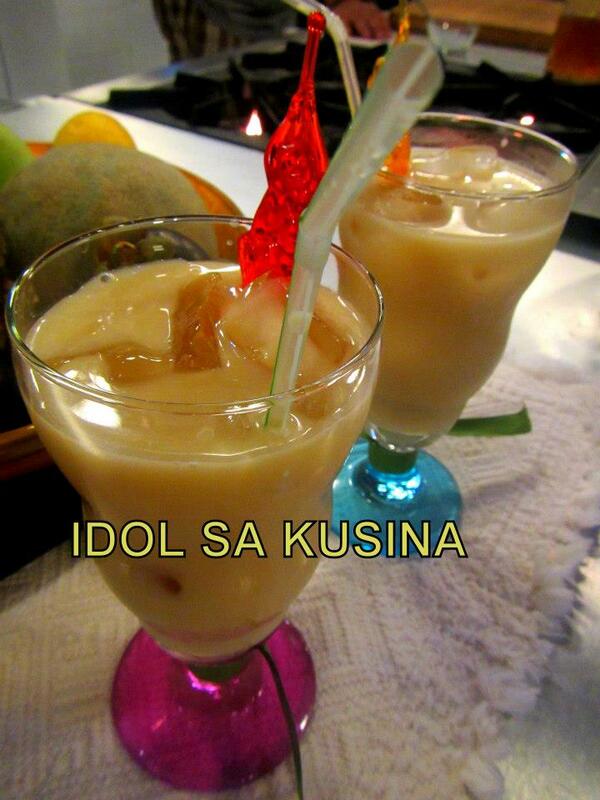 Here's Idol sa Kusina Recipe for Episode 89 / April 21- Coco milk tea. In a small pitcher, combine coconut milk and cold tea. Drizzle in sweetened condensed milk and stir until thoroughly combined. Serve over ice and serve. 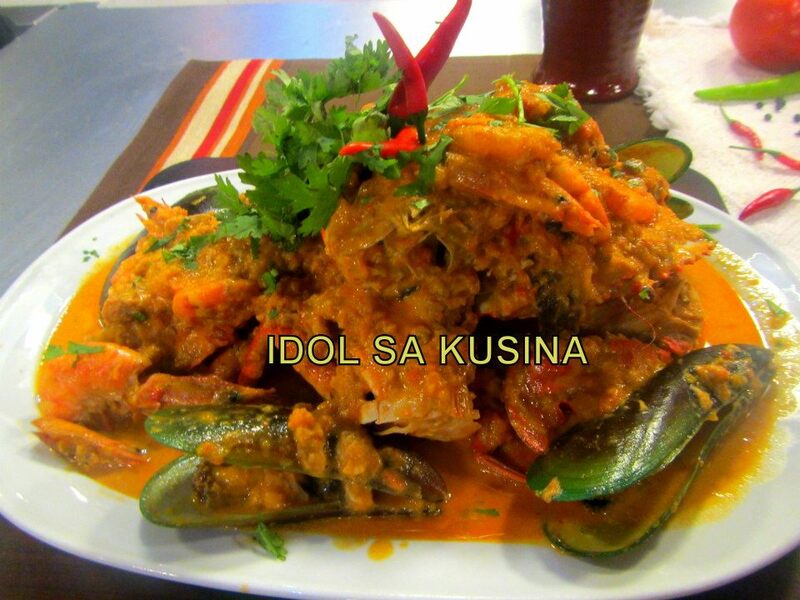 Here's Idol sa Kusina Recipe for Episode 89 / April 21- Spicy mixed seafood sa gata. Heat the cooking oil in a pan or wok and saute garlic and onion. Add the seafood and squash and toss for a minute. Pour-in the water, let it boil and cover for a minute or two. Add the fish sauce and coconut milk. Simmer for 5-8 minutes. Remove from heat and transfer to a serving bowl. Garnish with cilantro. 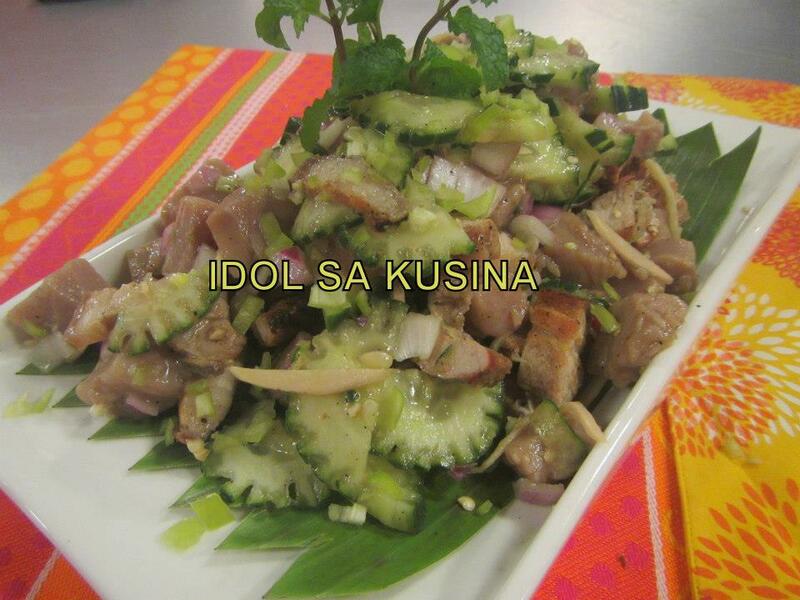 Here's Idol sa Kusina Recipe for Episode 89/April 21- Bicol Express with Bagnet. Add the ginger, garlic, chilies and onions. Cook, stirring, until fragrant, about a minute. 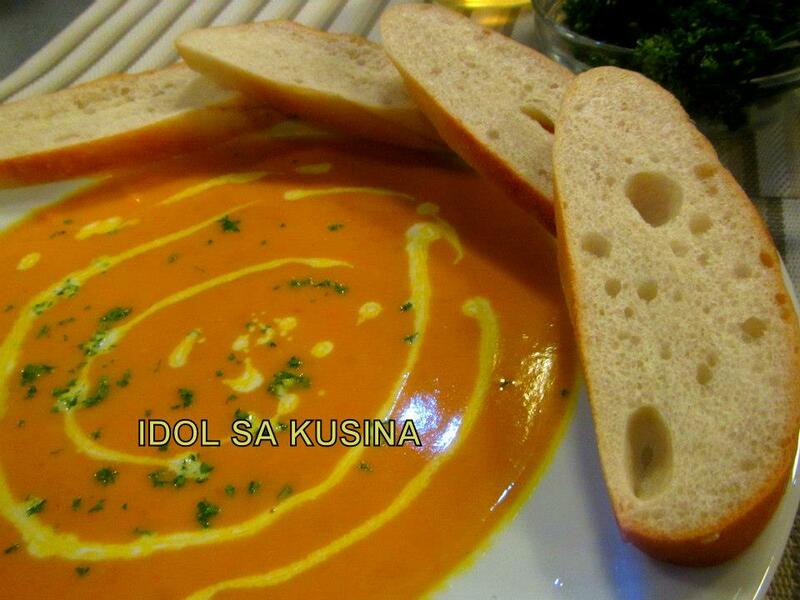 Here's Idol sa Kusina Recipe for Episode 89 / April 21- Sweet potato and carrot soup. Boil chicken stock and add onions, carrots, sweet potatoes and bacon. Cover the top, bring to the boil and cook with low heat until all the ingredients are soft. Remove the heat, and puree with hand mixer or a food processor. Bring back to the heat, then add the coconut milk adjusting your desired thickness and simmer. Season with salt and pepper and garnish with parsley and serve with bread. Anthony Bourdain, chef, author, and host of CNN's travel and food show No Reservations tries some good old Pinoy favorites from a Jollibee branch in Los Angeles, California, according to Rappler report. Bourdain quoted ""It makes no goddamn sense at all. I love it." Catch the Gourmet Masterpieces at Megaworld Lifestyle Malls Summer Event! Art-inspired cuisines and food-inspired fashion show were the highlights of “Gourmet Masterpieces,” a visual and culinary feast held in Newport Mall at Resorts World Manila, Pasay City, on April 18. Megaworld Lifestyle Malls in partnership with the Asian Food Channel, Mega Magazine and Appetite, launched “Gourmet Masterpieces,” an Epic Summer event showcasing art-inspired concoctions followed by a fashion show featuring models wearing food-inspired creations. 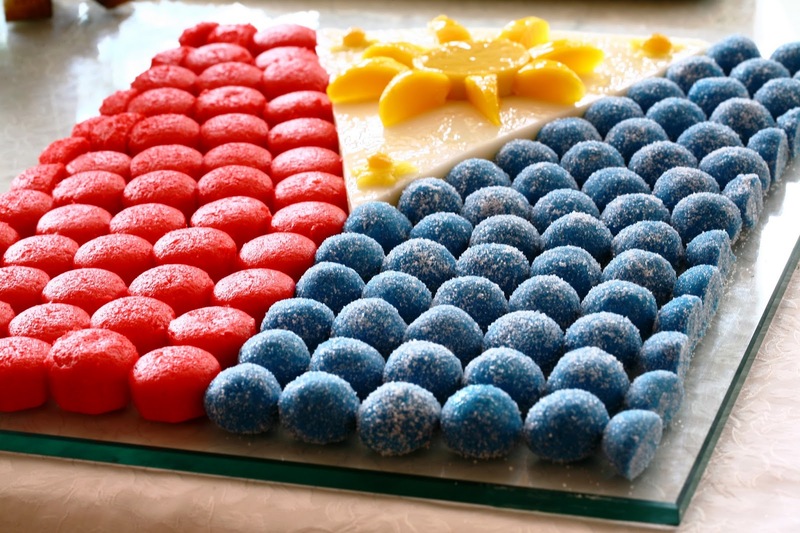 It is an ensemble of popular Filipino desserts like sweet puto, pastillas and maja blanca inspired by the Philippine flag. These are just a few of the artful dishes shoppers can experience at Megaworld Lifestyle Malls this summer. Food lovers can look for the Gourmet Masterpiece seal at dining establishments around Eastwood City, Lucky Chinatown, Newport Mall at Resorts World Manila, Burgos Circle at Forbes Town Center and Venice Piazza at Mckinley Hill to find out which restaurants are offering this season’s unique treat. McDonald's Dollar Menu fails from sale expectation. In spite of the Dollar Menu fails resulting to a decline in profit margins during the initial quarter, McDonald’s said the company is picking up in many parts of the world. McDonald’s Dollar Menu fails to boost sales despite stepping up on marketing. The company saw one percent sales drop at restaurants open at least 13 months following an initially strong first quarter. Pix11 reports the hamburger chain’s Dollar Menu let customers get a bigger bang for a buck, but it seems not many of them find it appealing. In a recent news conference, McDonald’s executives reportedly defended its cheaper menu options, emphasizing that it is necessary in the present economy with a strong belief that low prices would steal customers away from rivals. 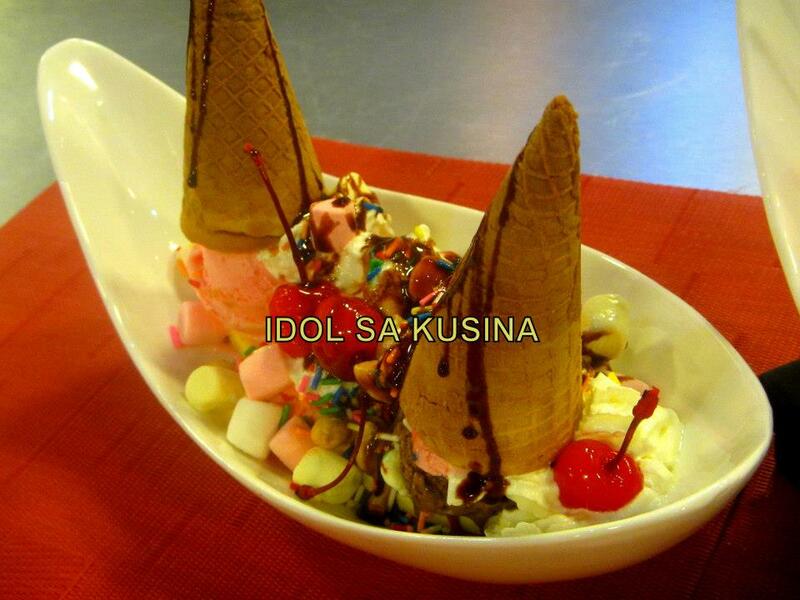 Here's Idol sa Kusina Recipe for Episode 88 / April 14- BANANA SPLIT. 1. Place ice cream on a bowl, then top with the rest of the ingredients. 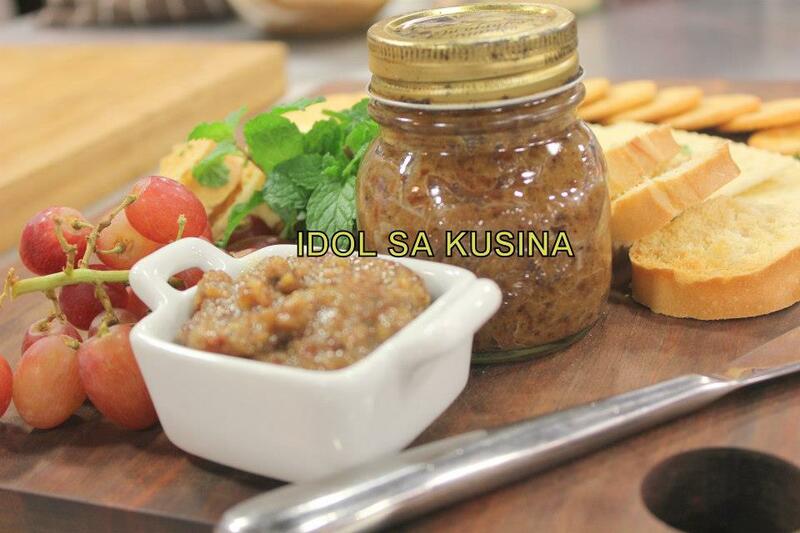 Here's Idol sa Kusina Recipe for Episode 88 / April 14- BINAKOL NI IDOL. 1. Brush chicken thighs with salt and pepper. 3. In a pot, add oil then brown chicken pieces on all sides. Remove chicken from pot then set aside. In the same pot, sauté garlic, onion and ginger then add the coconut water, lemongrass and chicken, then bring it to a boil. Simmer in low heat for 25 minutes. 5. Add sili leaves then simmer for 2 more minutes. Season with fish sauce according to taste. Serve on coconut shells and garnish with spring onions. 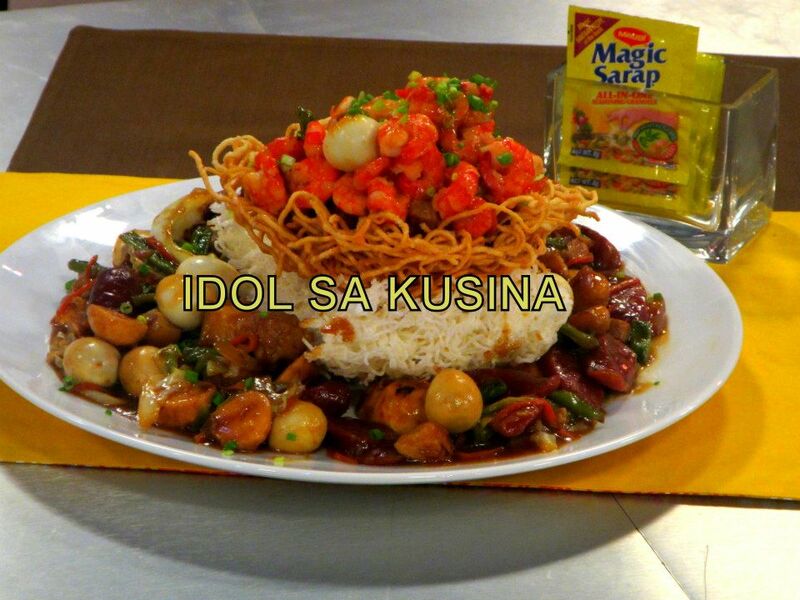 Here's Idol sa Kusina Recipe for Episode 88 /April 14- MAGIC CRISPY NOODLE MEDLEY. 1. Fry pansit canton and sotanghon to form a nest like bedding. Set aside. 2. Remove heads and shells from prawns. Simmer in water for 30 minutes. Strain and discard shell. 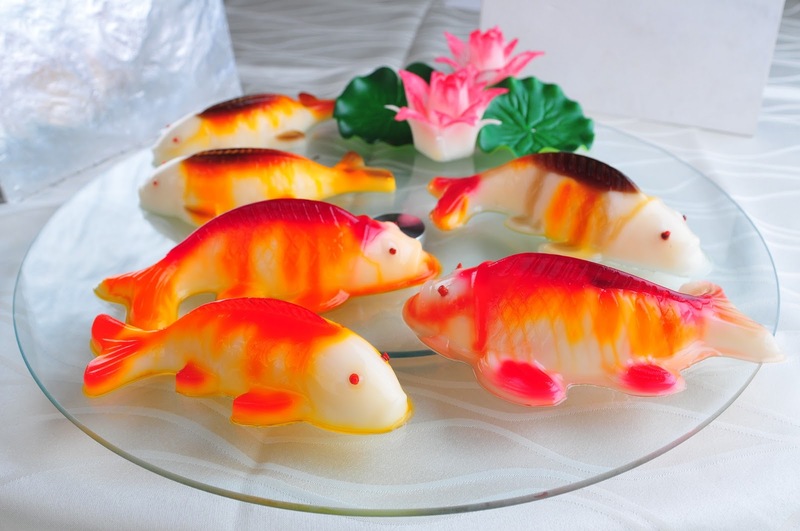 Set aside prawn stock. 3. Combine garlic and oil in a wok. Sauté until light golden brown. Add onion and sauté for 1 minute. Set aside. 4. Add pork belly and sauté for 2 minutes. Add Chinese sausages and squid balls. Cook for 2 minutes. 5. Add prawn stock and bring to simmer. Season with MAGGI MAGIC SARAP. Add soy sauce, hoisin, and MAGGI Oyster Sauce. 6. Add carrot, Baguio beans, cabbage, and prawns. Cook for 2 minutes over high heat. Add slurry to thicken sauce. 7. Add quail eggs and pour over crispy noodles. Serve immediately. 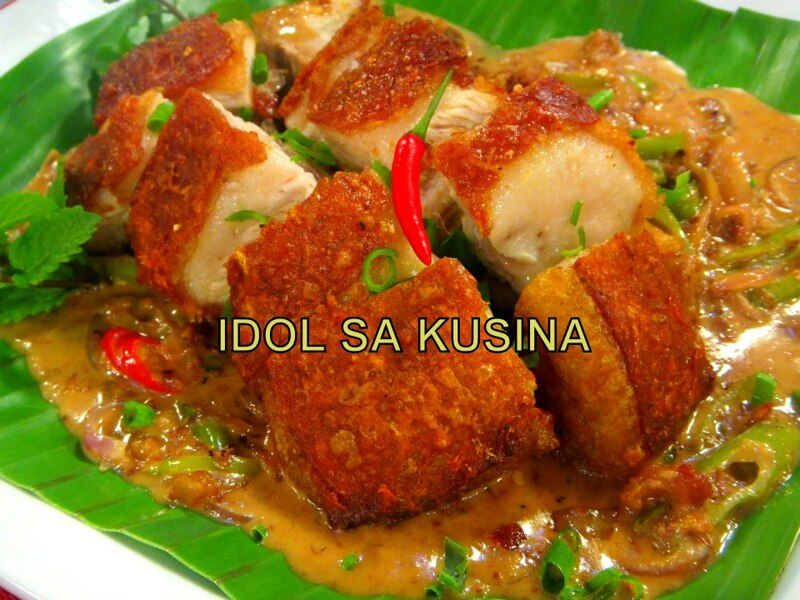 Here's Idol sa Kusina Recipe for Episode 88 / April 14- CHICKEN ALA KING. In a large saucepan over medium heat, melt 1/4 cup of the butter, and saute the shallots until softened. Sprinkle in the flour, and cook for a minute. Whisk in the sherry and broth and bring to a boil. Add the parsley and thyme sprigs, lower the heat and simmer. Meanwhile, heat the remaining butter in a pan, saute the mushrooms and season with salt and pepper. Strain the sauce into mushrooms and season with the salt, pepper, cayenne, and nutmeg. Whisk in the heavy cream. Add the chicken, and chives to the sauce, and bring to a simmer. 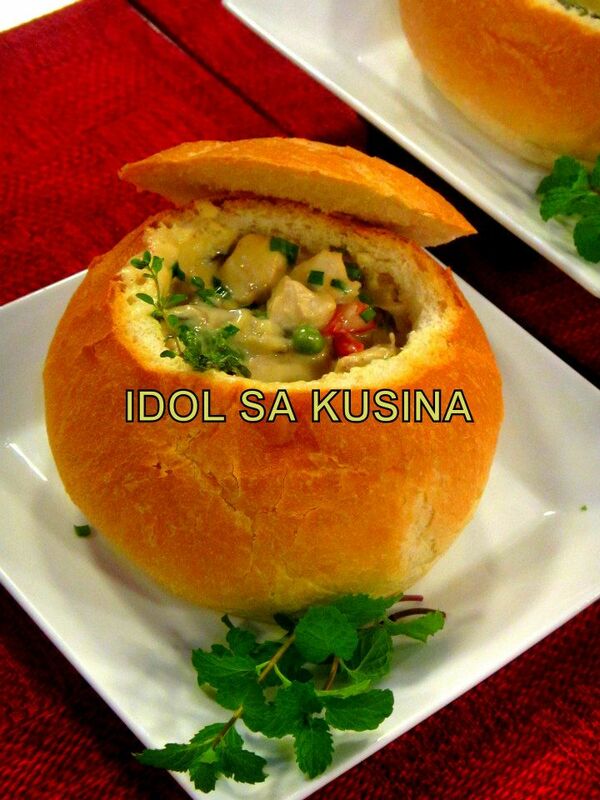 Serve immediately on bread bowls and garnish with parsley. Watch celebrity tv host-actress, Anne Curtis Doublemint new TVC. Doublemint and Anne Curtis officially welcome you to be a part of the Doublemint barkada this 2013. Wanna know what exciting and intense activities Doublemint have planned this year? Enjoy the refreshing taste of Doublemint gum - the unique, minty flavor you can't get anywhere else. Doublemint was launched in the U.S. in 1914 and has since become one of the world's best-selling chewing gums, enjoyed by generations of consumers worldwide. Doublemint is available in over 140 countries. Join the Doublemint Philippines barkada on their Facebook page, please click HERE! Does your child have the gift to shine? Join i-Shine Talent Camp 2 now! Nurture his/her talents and be part of the newest Kapamilya show. ABS-CBN i-Shine Talent Camp have an upcoming audition at SM City San Pablo, Laguna on April 20, 2013. Visit ishine.abs-cbn.com on how to join! 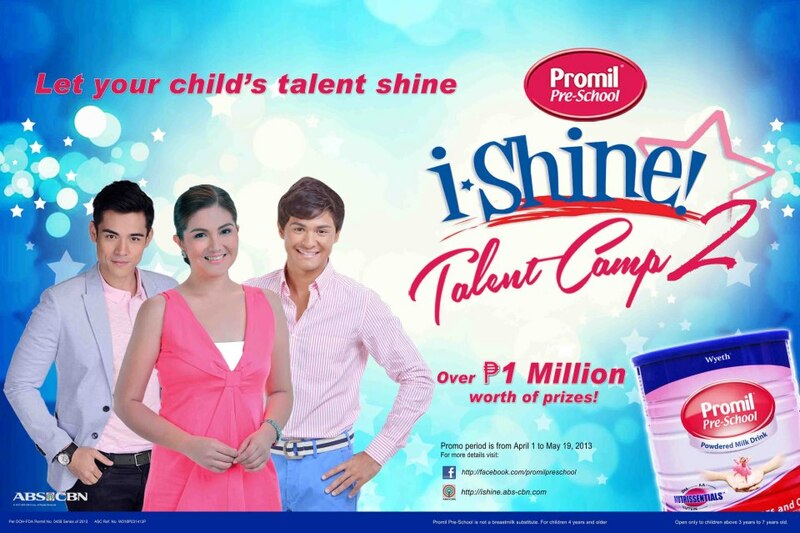 I-Shine Talent Camp TV is a reality-based talent search in the Philippines that features kids ages from four to seven years old. It is currently hosted by Dimples Romana, Matteo Guidicelli and Xian Lim. 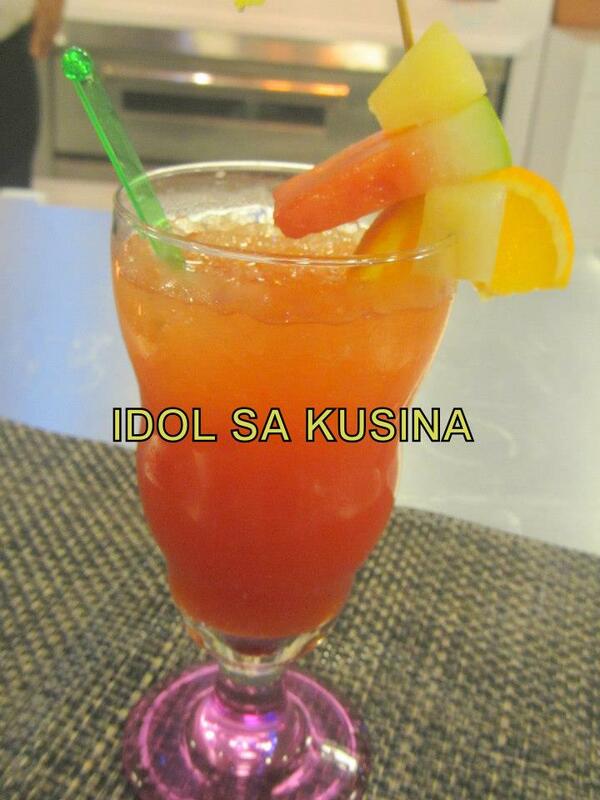 Here's Idol sa Kusina Recipe for Episode 87- April 7- ALOHA SHAKE. 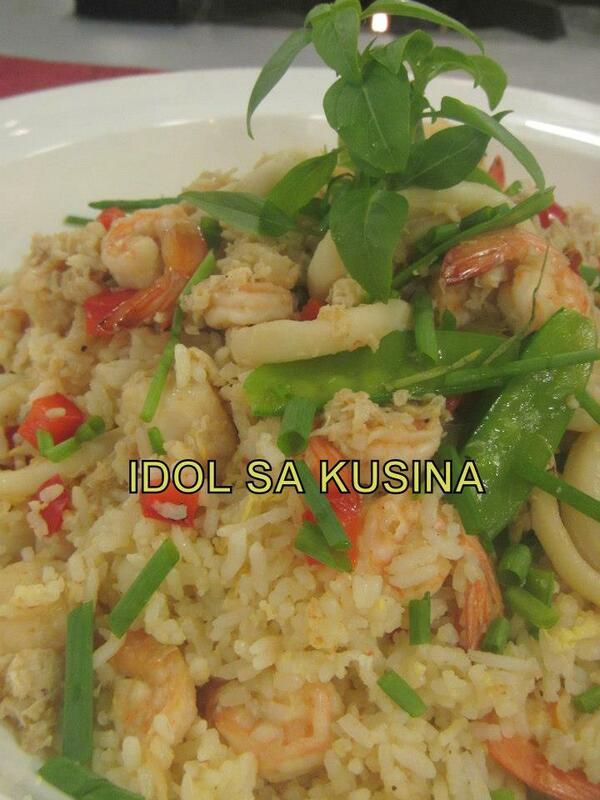 Here's Idol sa Kusina Recipe for Episode 87-April 7- SEAFOOD RICE. 1. Heat oil in a pan or wok over low heat. Saute shrimps, onions, celery, garlic, and ginger. Stir and cook until shrimps change color. 2. Add red bell peppers and cook for a minute. Add rice and broth. Add crabmeat and snow peas and cook for another minute. 3. Remove the heat, the beat eggs and soy sauce together. Push the rice to one side of the skillet. Return to heat and add eggs and stir until eggs are cooked and set. 4. Combine eggs into rice and transfer into bowls. Sprinkle with spring onions. 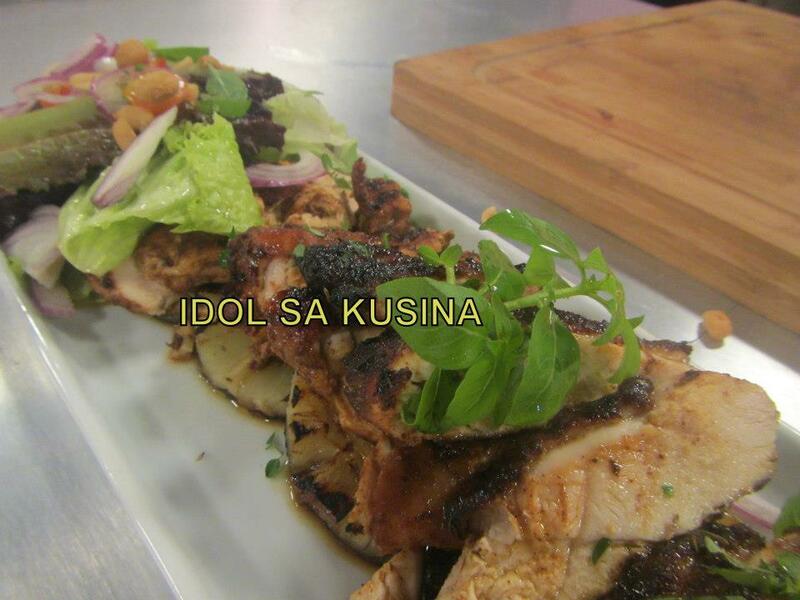 Here's Idol sa Kusina Recipe for Episode 87-April 7- CAJUN SPICED GRILLED CHICKEN. 2. Season each breast with salt and pepper to taste. 3. Combine paprika, brown sugar, red pepper, oregano, sage and thyme. 4. Rub chicken with spice mixture; chill for 30mins to 1 hour. 5. Preheat grill to medium. 6. Mix together oil and lemon juice and brush onto chicken. 7. Grill the pineapple slices and set aside. 8. Grill for 12 -15mins or until done. Serve over grilled pineapple slices. 1. Season pork with salt and pepper then grill until done. Chop and set aside. 2. In large bowl place the tuna meat and add 1/2 cup of vinegar; then marinate for 10minutes. Drain the vinegar then add cucumber,onion,ginger,finger chili, chillies,and salt. Mix thoroughly. 3. Add calamansi then add the remaining 1/2 cup vinegar, add the grilled pork belly. Mix well and serve. (OPTIONAL) Place the mixture inside the refrigerator for 30mins to one hour before serving. 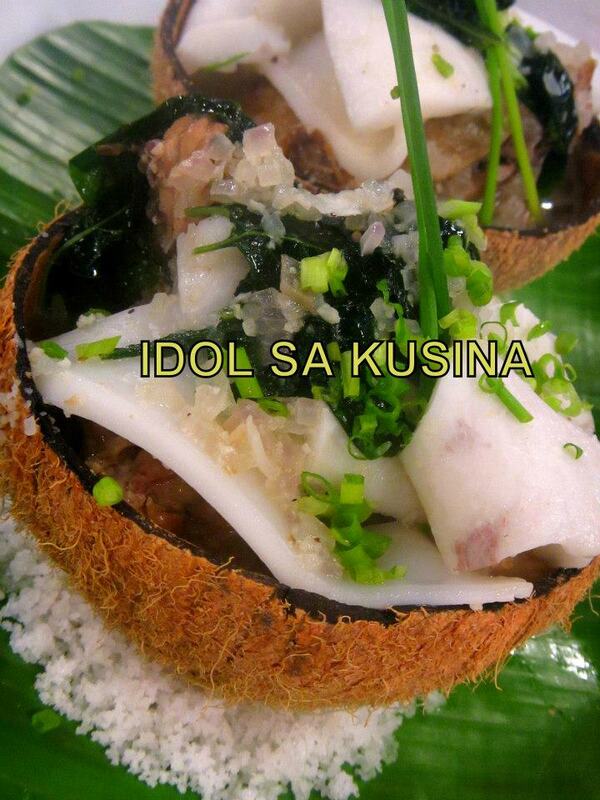 Watch Idol sa Kusina- April 14, 2013 Episode with celebrity guest, Andrea Torres. 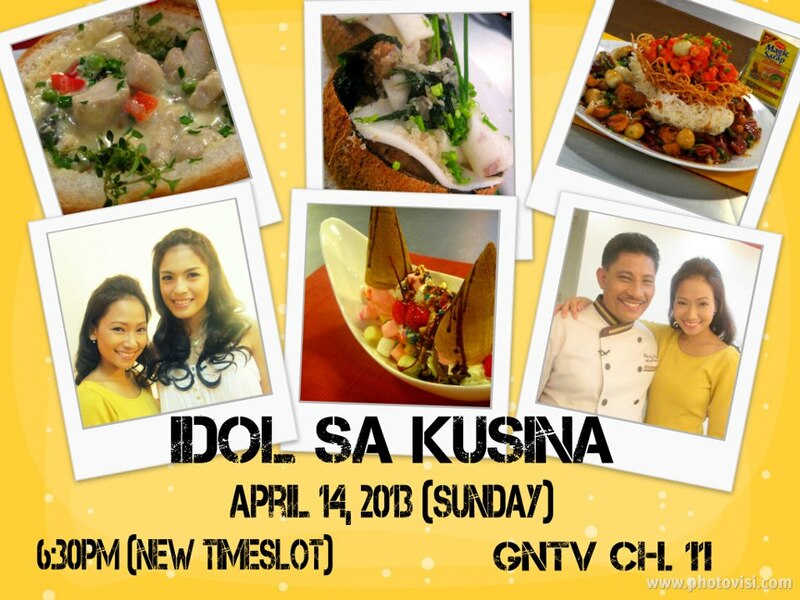 Don't forget to watch IDOL SA KUSINA this Sunday ( April 17), 6:30pm on it's new timeslot at GNTV Channel. 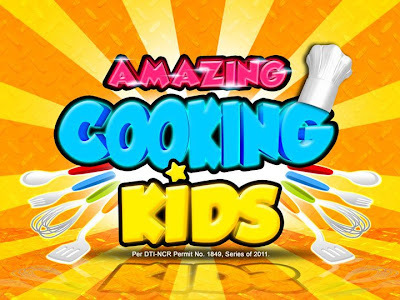 11 featuring the the following recipes: Chicken ala King, Magic Crispy Noodle Medley, Binakol ni Idol, and Classic Banana Split! together with our KAPUSO star Ms. Andrea Torres and for Maggi episode Mommy Soraya Borbe. 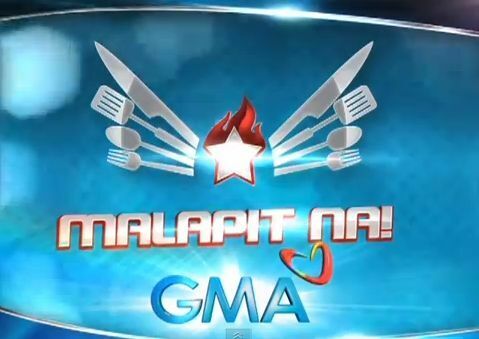 Watch Kusina Master Summer Episodes on GMA Network. Chef Boy Logro: Kusina Master is a 30-minute cooking show that features a step-by-step cooking guide and unfold excellent kitchen skills and unravel secrets to make cooking and food preparation effortless and fun. Every week, there will be a celebrity guest co-host that will assist Chef Boy in preparing different dishes. At the end of every episode, Chef Boy will give an assignment to viewers on what they need to buy or prepare for next episode. "Samahan si Chef Boy sa pagluto ng isang easy to prepare dish na tamang tama para sa mga summer gatherings and picnics ngayong panahon ng tag-init." 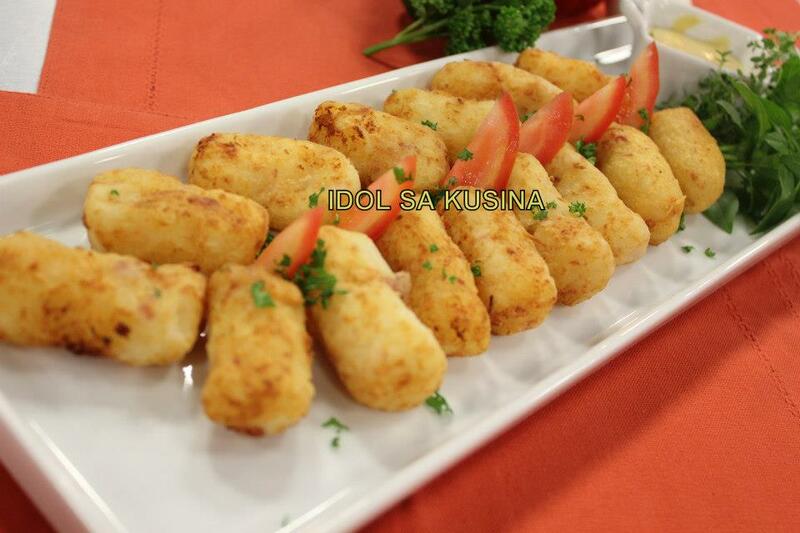 Here's Idol sa Kusina Recipe for Episode 86 / March 31- BACON POTATO TOTS WITH CREAMY MUSTARD. 1. In a pan, cook bacon until crisp. Chop finely and set aside. 2. Shred the potatoes using a grater or a food processor. 3. Place the potatoes on top of the paper towels and fold. Squeeze as much moisture out of the potatoes as possible. 4. Combine the potatoes with the bacon, flour and season with salt. Mix well to combine. 5. Form the potato mixture into small logs using a 1 tbsp. measuring spoon. 6. Fry the potatoes until golden brown. Serve with creamy mustard. 1. Combine the mayo, honey and mustard in a small bowl. Season with salt and pepper. 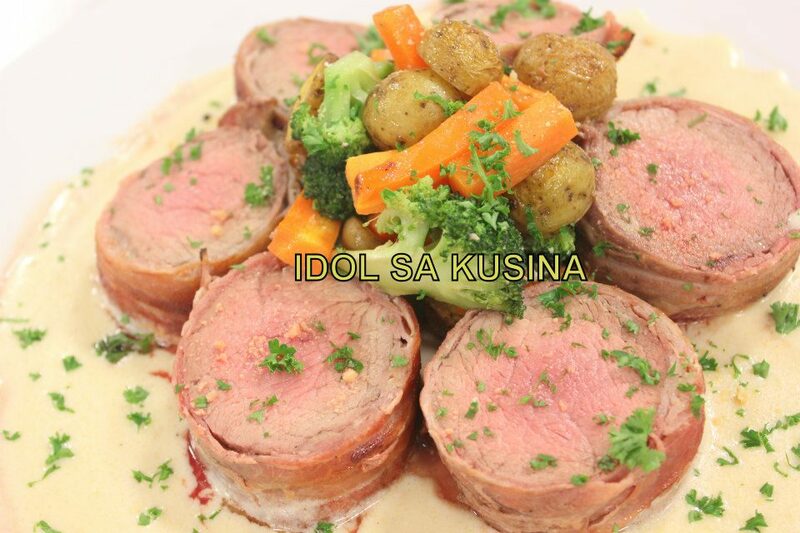 Here's Idol sa Kusina Recipe for Episode 86 / March 31-BACON WRAPPED TENDERLOIN WITH PARMESAN SAUCE. 1. Season tenderloin with salt and pepper. 2. Wrap the beef with bacon strips and secure with toothpick or twine. 3. Brown the meat in a hot pan with oil and butter then add baby carrots, brocolli and marble potatoes place in an oven for 15-20mins at 350°F. When done, let it rest before slicing. 1. Melt butter in a pan then add flour to make a roux. 2. Gradually whisk in milk, heat it until thickened. 3. Add Parmesan cheese, salt and pepper and paprika, whisking until smooth. Remove from heat and serve with beef and veggies. 1. Place saucepan over medium high heat. Toss in the bacon then add a splash of water. Stir frequently with a wooden spoon. 2. When the bacon is crispy, set aside and caramelize the onion in the same pan. 3. Add the bacon back in, add brown sugar and water. Continue simmering until it has a jam like consistency. Add rum and simmer again. 4. Carefully transfer the mixture to the food processor, pulse it with the vinegar until smooth. Serve with crostini and crackers. 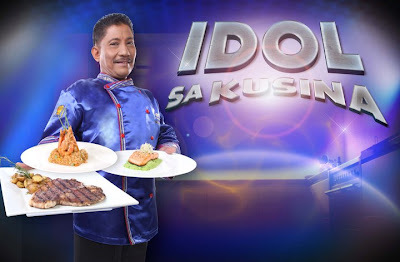 Catch Idol sa Kusina 'Bacon Day' Episode with San Sebastian College and celebrity guest ChloeMc Culley and Kathleen Hermosa.